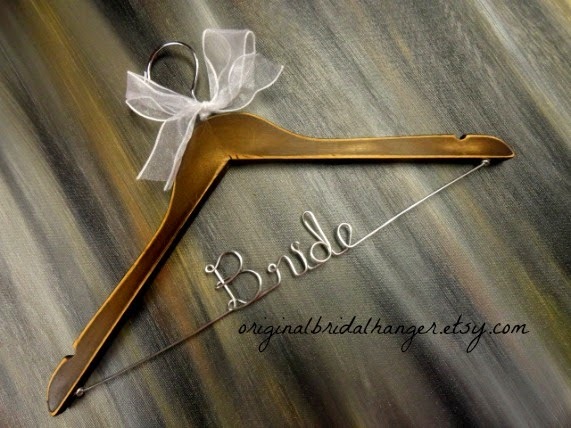 I am starting a sale this morning on most of my wedding dress hangers. This is a special sale in celebration of Easter and running in to May to celebrate Mother's Day. 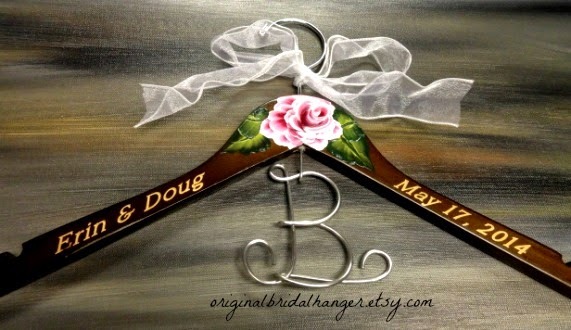 I am offering 20% off on most of my bridal hangers. 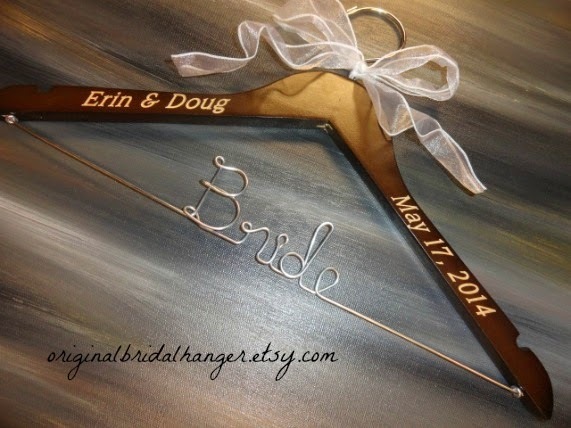 You will see that I offer a variety of styles and designs in my shop. If you do not see what you are looking for, please let me know. 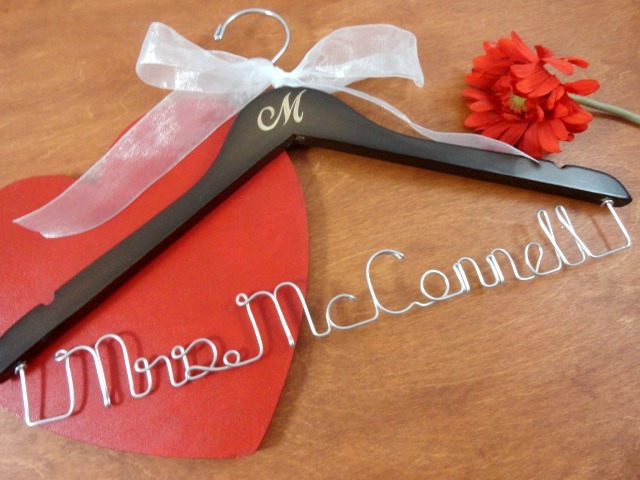 I would love to work with you to create something special for your day. 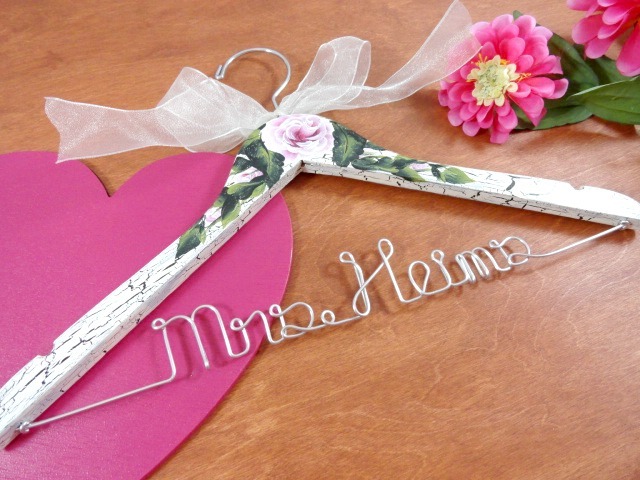 We are even creating our very own hangers made in the U.S.A! There will be more coming your way. 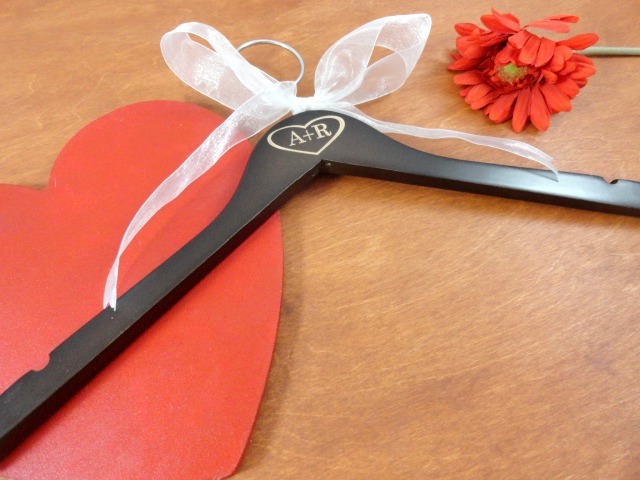 We also offer this lovely wave hanger. It comes in white, black, blue, and brown wood. 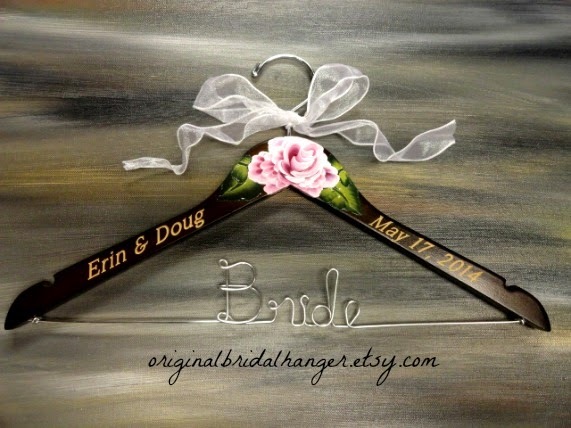 Looking for something a little more shabby chic? This is for you! It may also be painted with different flowers and colors. Just let me know! 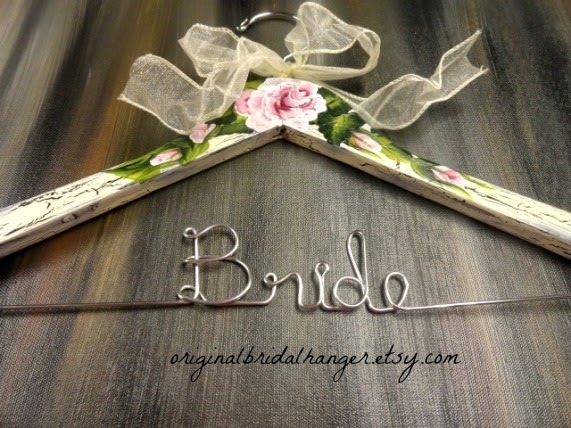 Another little beauty is this distressed rustic hanger. If this is your style, then we are the right fit for you! 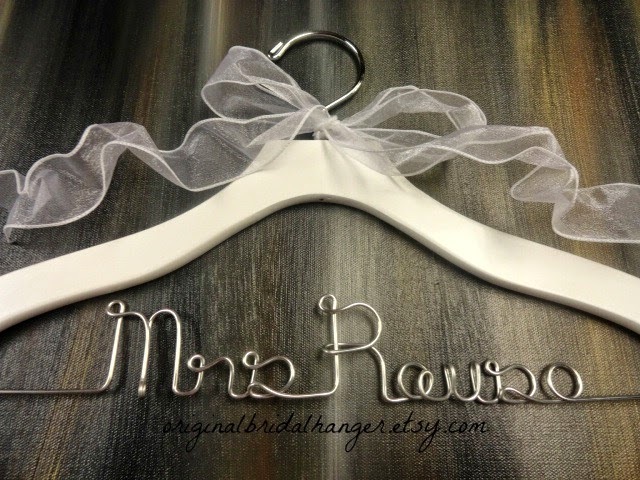 Bride hangers are an awesome gift to give for an upcoming bridal shower. 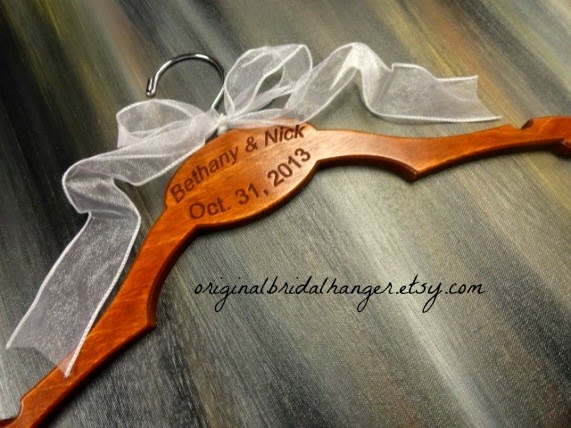 They are also a nice little gift and keepsake for the bridal party, and even for the guys in your wedding too. I hope you enjoy the sale. Thanks for stopping by!